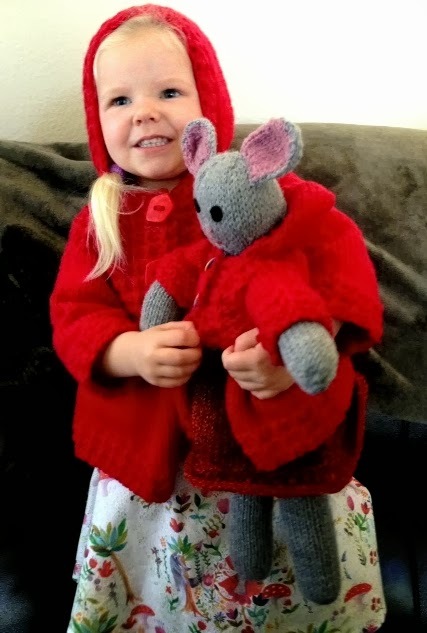 I recently received a lovely email from Roxanne, sharing photos of the recently completed Phoebe's Sweater set she created for sweet little Mackenzie. 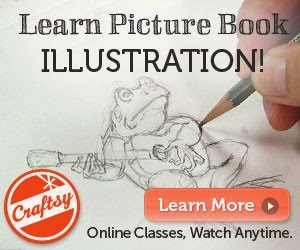 This is just completely adorable in every way. 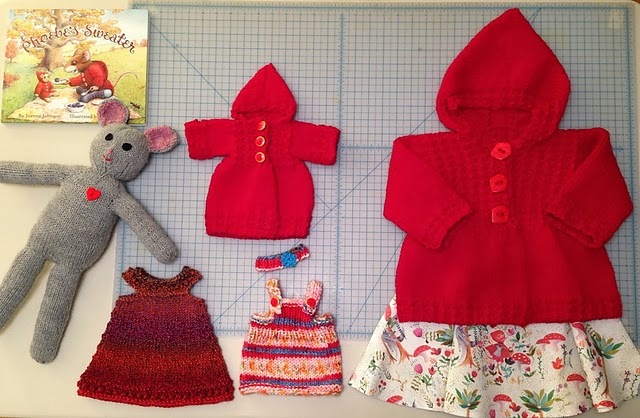 Roxanne knit the Phoebe's Sweater, the doll sweater, Phoebe Mouse, the dress, and even a second little top for Phoebe Mouse. 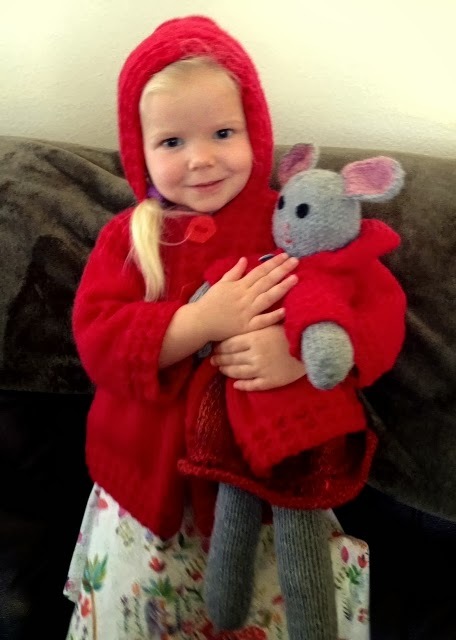 AND… she sewed a "Red Riding Hood" themed dress to match. Did I say adorable? 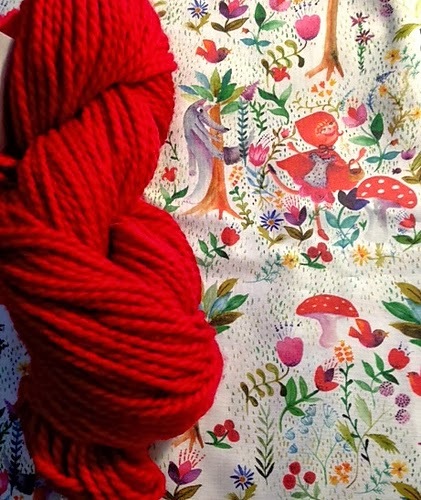 I can't imagine a fabric that would be cuter or better suited for this project! Mackenzie looks like a very happy girl! Apparently she does not want to take her sweater off. Who could blame her? Thank you for sharing, Roxanne and Mackenzie.